Tyra Mail: A Fendi Bag & A Bad Attitude TURNS 2! Hey… Hey… Hey WE are 2 today! 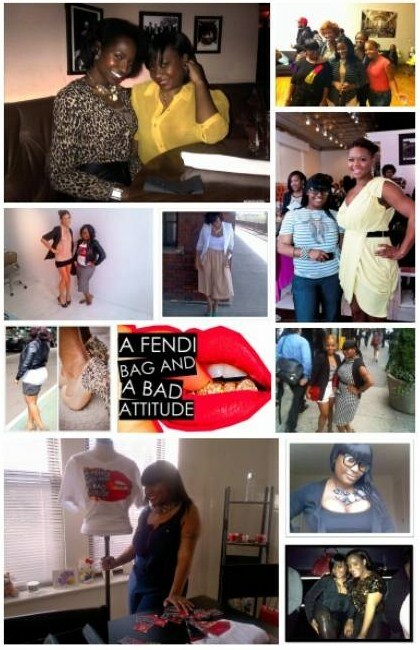 Happy Blogg-er-ver-sary to “A Fendi Bag & A Bad Attitude"
I am so excited at where I’m at RIGHT now and I would like to say “Thank You” to ALL of my readers (even on Twitter & Facebook) because without you we would not be “A Fendi Bag & A Bad Attitude” AND……. at 100,000 PAGE VIEWS… Yup I said it! Thanks again to everyone & we WILL celebrate… yup that’s right… July 11th… Get READY! Congratulations on your 2-year bloggerversary Tammy!!!!! You know your blog rocks, right? I know it will continue to soar! Tammy 'CONGRATULATIONS' and many more to come and congrats on all the success gorgeous. Congrats babe! Keep up the fab work. Lovely pictures! !